As a supporter of a team unlikely ever to grace the summit of our domestic league system, I often wonder quite what the fair-weather fans (don’t read ‘supporter’, as these leeches do not support and have little knowledge of our game and do little to ‘support’ anything) think happens below Premiership level – or if indeed, they believe anything lesser than 30,000+ all seater, £5 for a burger, £40 a ticket even exists at all. 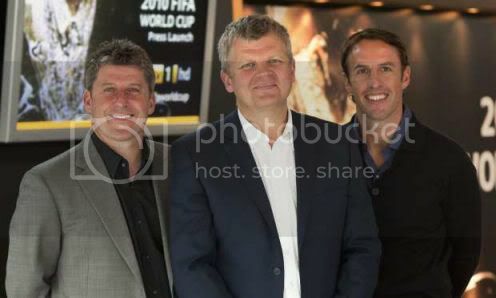 Watching the TV Highlights of the FA Cup First Round games last weekend on ITV, it struck me that the knowledge about lower league teams and non-league teams, even of former players-turned-pundits (Andy Townsend on this occasion) is astoundingly minute. In fact, their eyes appear to ski down their nose to peer upon the likes of us, and they seem amazed that anyone from the second level down can strike a ball. Commenting from upon an ivory tower? There is good reason I watch little domestic English football on TV thesedays. The main part of my reasoning is to do with pundits and commentators. I go to pretty much every game that my team plays, both home and away. What I do not need, is to sit down at home and watch an overweight, overpaid, and over-hyped TV ‘personality’ replaying an incident back five or six times to me, informing me that a tackle was bad, or that a ball should have been played here, there, or anywhere else – simply put – I already know. It removes every shred of enjoyment from watching football on TV. Now, to my mind, the blame for having to suffer eavesdropping a load of idiots talking about last nights game, or how ‘they’ won, can be laid squarely at the feet of these moron pundits. Rather than educate people about the game, leaving people to make their own minds up about incidents, having people learn in their own time how the game is played, they elect to tell people that ‘this is how it is done, do not do it any other way’ and leave it at that. Someone just starting to watch the game then ends up knowing a tackle is bad, a ball should have been played here or there – but lacking the knowledge of why. These same people, most of whom never step foot inside ‘their’ teams ground at any point before they perish, then look down their noses at the likes of me for supporting my team, in the same manner as these pundits look down their noses at our club. Wise cracks on TV about “tickets still being available” for an upcoming minor league fixture followed by sniggering on air does none of us any favours at all. Its likely, there are plenty of spaces available for these games, quite why that is humorous however, I don’t understand. These are the types of games where the Premiership superstars of the future should be born – rather than Africa, South America, Eastern Europe and etc. And yet the average fan wonders why our national team is all about mega hype, mega bucks, and very little by the way of end product. The entertainment value at these smaller clubs, and local leagues as well as the lowest couple of divisions in the football league is unmatched by football at a higher level, its pretty much a given that on four out of five weekends that the top four or five clubs aren’t playing each other they are going to win – and that’s exciting, is it? Give me a last game of the season defeat to Shrewsbury to drop out of the play offs followed by a season culminating in a Wembley play off final win against Rotherham attended by The Chuckle Brothers any day of the week. Furthermore, I’ll forever be able to say that I was there, rather than that I was sat on a sofa watching my teams greatest achievement. 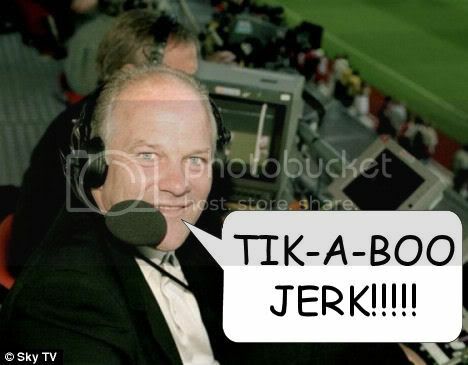 And I don’t even have to listen to Andy Gray. FMD - i had a spare stupid pic, soooooo enjoy?